Native plantings, backdrop. Provides nectar for butterflies and seeds for birds. A large, stunning plant that needs careful placement. A bit slow to develop but very long lived. 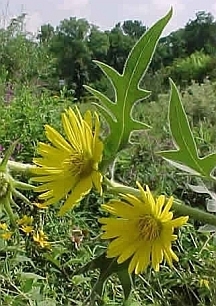 Sunflower-like in appearance and proportion. Attractive foliage.